Today is being observed as Good Friday by the general Jamaican populace, one of many Christian traditions that have blended seamlessly into our culture. Unlike the Easter Holidays observed in the States though, the fuss is less about chocolate eggs and mischievous bunnies than good ol’ Easter bun and Christ’s crucifixion. Children will be gearing up for the triple threat holiday of Good Friday, Easter weekend (even though it means going to church) and Easter Monday. Not to mention stuffing their stomachs with as much bun and cheese as their little bowels can manage. 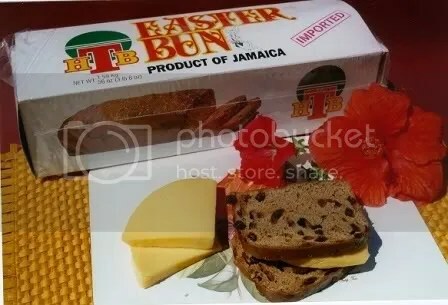 All us older folks will have to contend with giving people bun on Easter (same old, same old for some people). Author’s Note: ‘Giving someone bun’ is a charming local colloquialism for cheating on someone. Not to be confused with giving someone bun for Valentine’s Day, though both practices are admittedly equally insulting. I always find it interesting to think about the differences between different countries’/cultures’ ways of celebrating these things. Like, where did we get the bun thing from? Why did the eggs part never become part of our culture? Weird. Well, you can still use it! :P Or wait until next year.